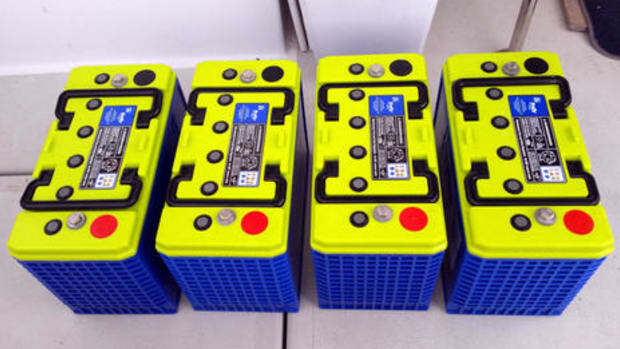 Let's end 2015 with some new technology that will really make a difference, I think. 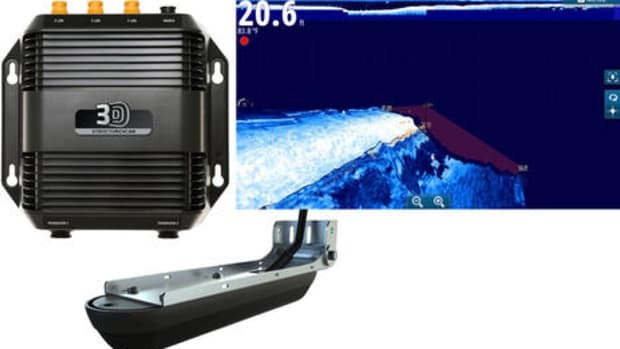 Dock-to-dock is not perfect, but it still strikes me as a quantum leap improvement that many boaters are going to appreciate. Let&apos;s start 2016 with some new technology that will really make a difference, I think. 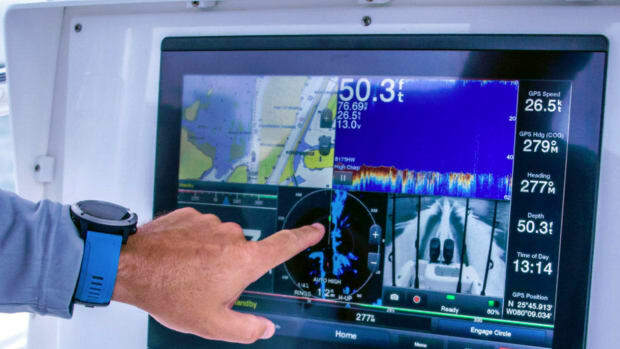 It&apos;s Navionics&apos; new Dock-to-dock autorouting system, and it may not be getting the recognition it deserves because Navionics already offered autorouting that was only marginally useful (like the others I&apos;ve tried). Dock-to-dock is not perfect, but it still strikes me as a quantum leap improvement that many boaters are going to appreciate. 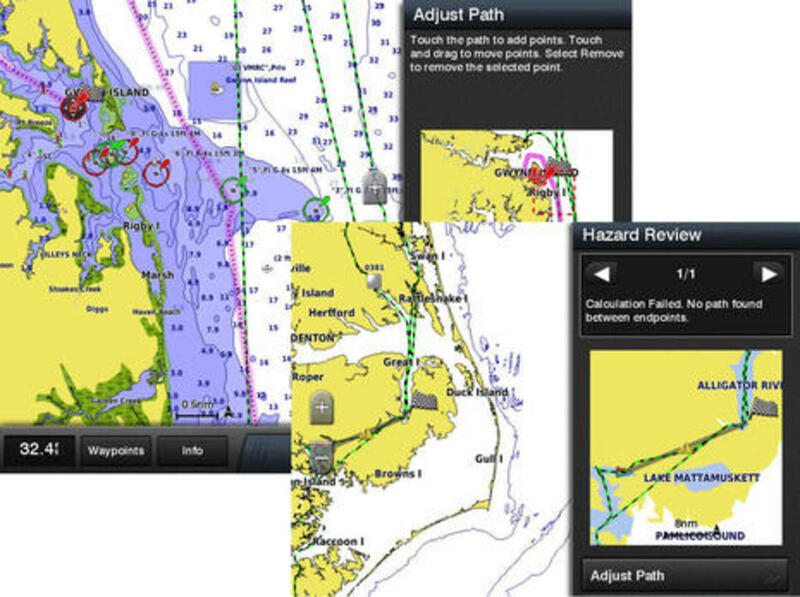 I first tried Navionics original autorouting algorithms when they became a $10 option in its Boating app and then again when Raymarine integrated the Navionics feature into its Lighthouse MFD software. Like Garmin and C-Map autorouting, it was okay at finding the shortest path in fairly open waters, but it didn&apos;t honor navigation buoys and it often choked up completely when challenged with narrow passages. 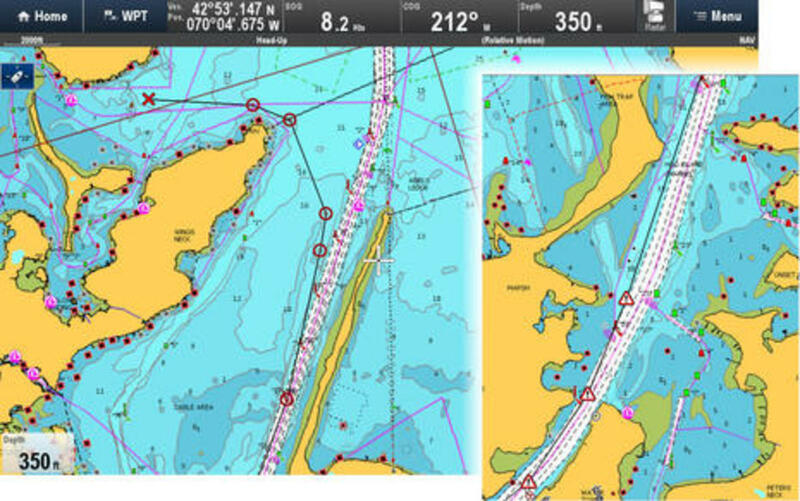 In fact, I was pretty happy when Navionics autorouting on a Raymarine MFD was able to plot a course from off Gloucester through the Cape Cod Canal, even though it exited the buoyed channel sooner than I would have and also showed shallow water warnings just because it routed too close to the shallows. Plus, by the time I captured the screens above, I&apos;d already given up on trying to get the algorithms to guide me into tricky Cataumet Harbor (also known as Pocasset or Red Brook Harbor, and a place I&apos;d never navigated before). At least I got an ETA to the harbor entrance! 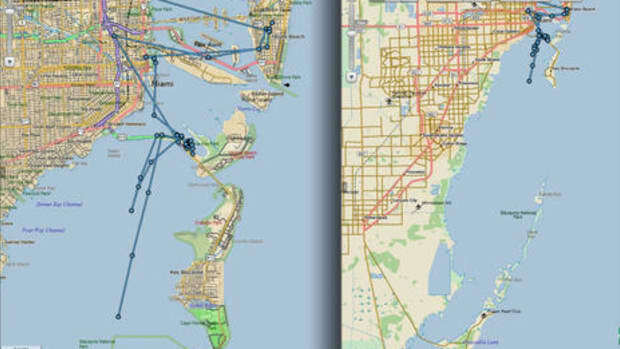 So it was great to see the new Dock-to-dock algorithms lay out a sensible route all the way from Gloucester inner harbor to the Kingman Marina deep in Cotaumet. 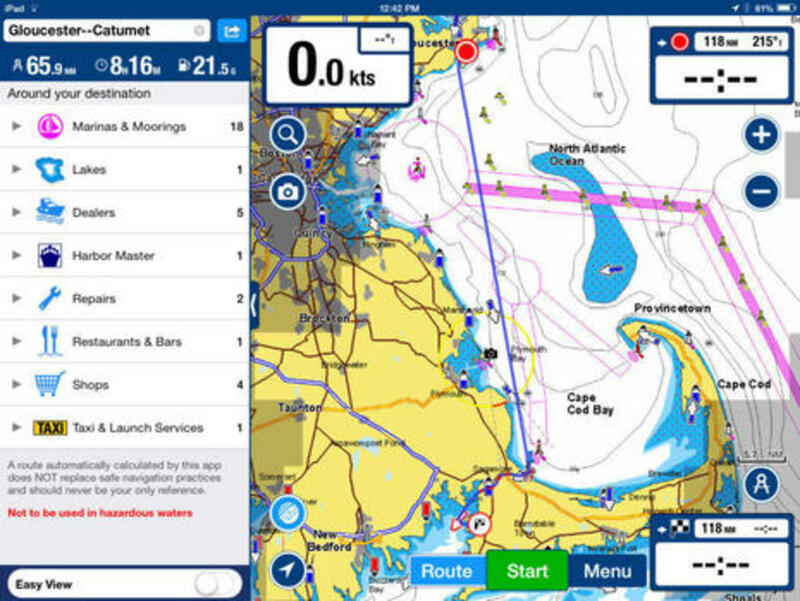 You can see the entire 66 nautical mile route in the top screenshot, as well as the useful list of Cataumet points of interest that Dock-to-dock puts up after the calculations. In the image above you can see how the algorithms nicely negotiated both the big commercial channel and the snaky harbor entrance. I can testify that the various Shallow Water warnings are justified here, though I don&apos;t quite get routing you near a buoy and then warning you about hitting it. But extra warnings are trivial when all other previous autorouting algorithms would have either refused to do this route at all or would have created one that needed a lot of repairs. Dock-to-dock solved the problem almost exactly like I would have after years of routing experience, but while I was doing something else! There&apos;s lots to like about the Dock-to-dock process as well. 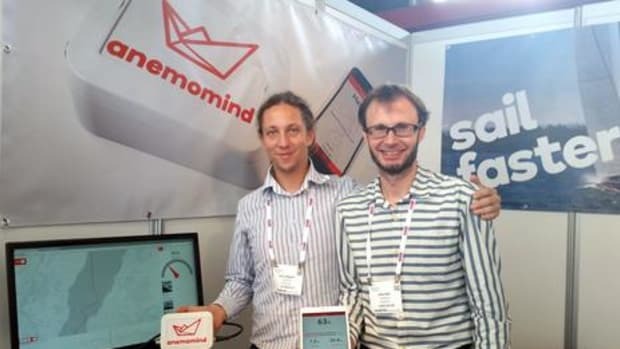 Your route can start where you are or where you can easily search for a starting marina or other POI, just as you can for a destination like Kingman Yacht Center. You can also see the Boat Settings that Dock-to-dock works with and tap to change them. 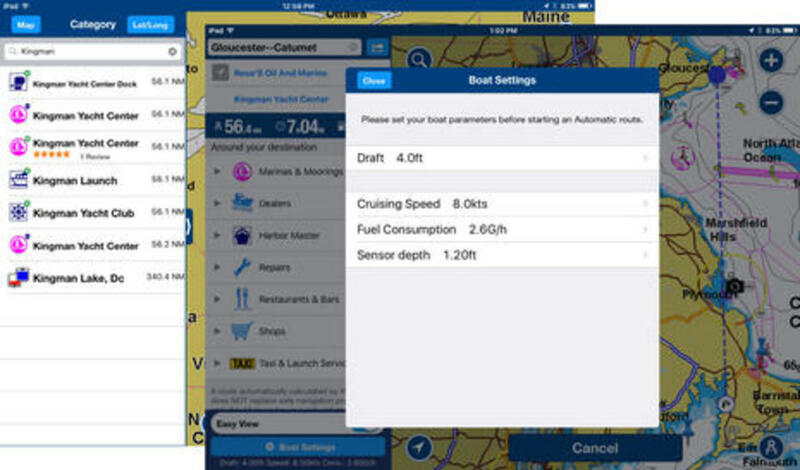 Draft has a lot to do with how the algorithms think -- we will see more about that below -- and of course expected cruising speed and fuel consumption are critical to Dock-to-dock&apos;s estimated trip time and fuel use calculations. 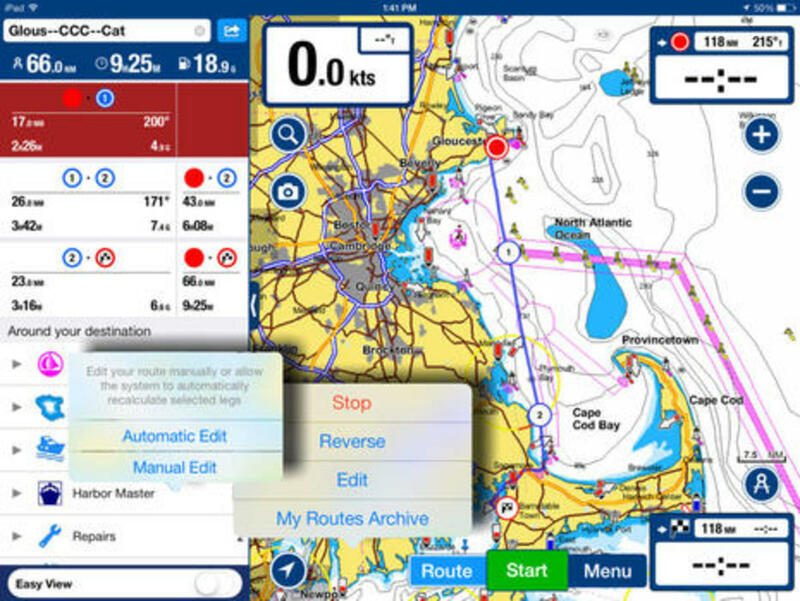 You can also easily edit a Dock-to-dock route after the calculations, or later. (And if the route you&apos;re returning to was originally made manually, you&apos;re given the choice of keeping it manual or turning it into automated.) In the case above I was completely redoing the Gloucester to Cotaumet route on my wife&apos;s iPad Air to see if it was much faster than what happened on my own 1st generation iPad mini. Dock-to-dock is much faster on the newer Air, and is probably much faster still on the latest generation of iPads (comparisons here). My added waypoint #1 is simply there to give me a heads up to the shipping channel, but #2 is to correct a relatively small glitch I saw regularly in Dock-to-dock. While I&apos;ve yet to use Dock-to-dock underway, I have tried it in many places and especially along the complicated but very familiar coast of Maine. The results are usually very similar to what I&apos;d do myself (with much more work). That Camden to Northeast Harbor route above, for instance, is good enough for heavy fog conditions in the Deer Isle Thoroughfare and Casco Passage as is. 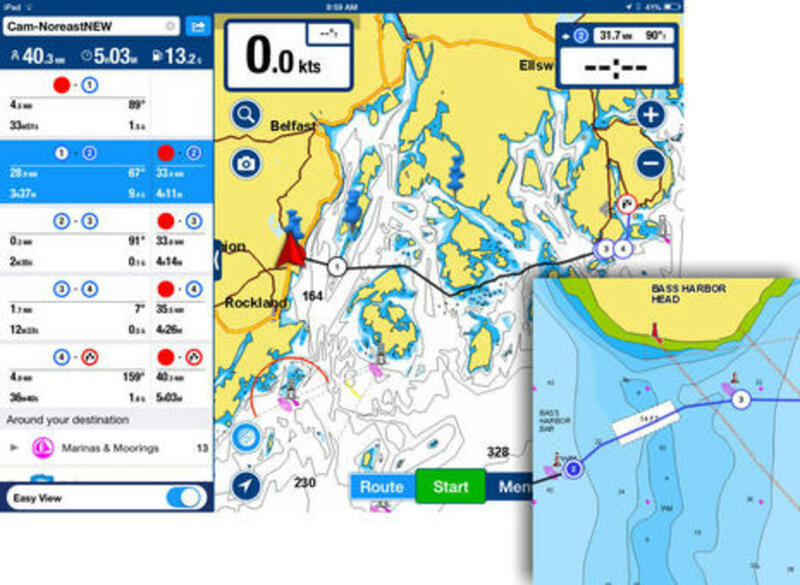 The four adjustments I made were not absolutely necessary: an unmarked ledge I&apos;d rather give more berth, a lateral buoy I&apos;d rather honor, and the fact that tidal currents can make deep-enough Bass Harbor Bar pretty frisky. When you tap on a Dock-to-dock POI category, the chart zooms into your destination and highlights the results. 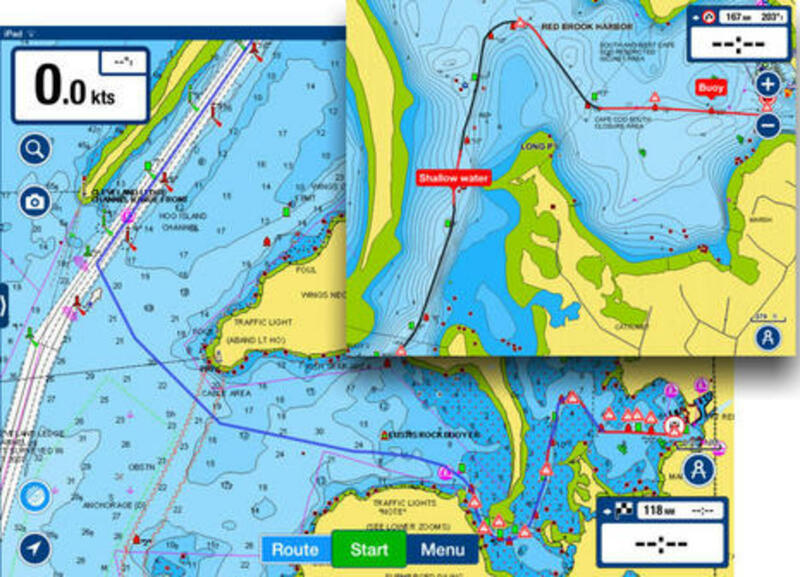 That&apos;s great, but this screen also demonstrates how Navionics often shows multiple versions of the same marina or whatever. This may be because I have Community Edits enabled, but in this case even the crowdsourced info isn&apos;t very good. The Northeast Harbor harbormaster (no surprise) works out of the publicly owned Northeast Harbor Marina, and the spot where the harbormaster is mistakenly marked is actually Asticou Dock (which is a good place to know about). I did find a way to break Dock-to-dock, however, and that&apos;s the awesomely twisty and shallow New Jersey ICW. Even with draft reduced to 2 feet, the algorithms couldn&apos;t seem to handle a route longer than about 13 miles without generating the dreaded "too many points" error message. 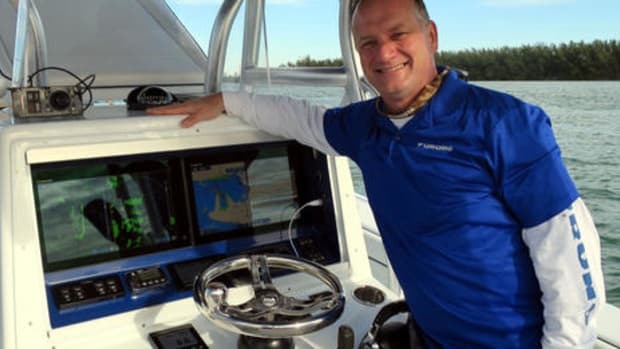 But, heck, you&apos;ll soon see that Garmin&apos;s well-regarded autorouting can be similarly frustrating in the deeper, simpler ICW that many more cruising boats use. 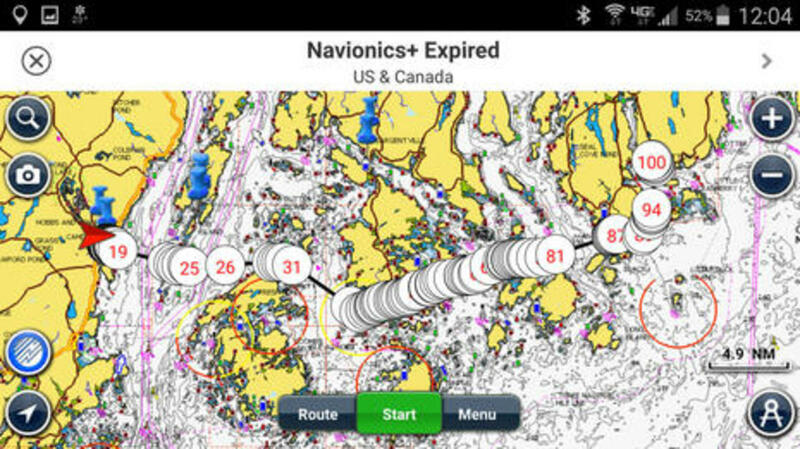 But before we go there, here&apos;s the most recent version of Android Navionics Boating US & Canada running on my phone. 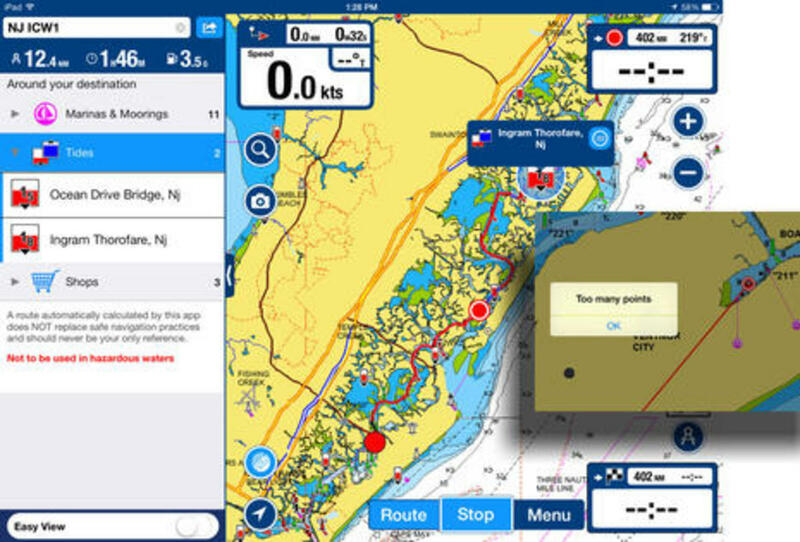 Autorouting is not supported on this platform yet, but Navionics cloud syncing means that even my auto calculated Camden to Northeast Harbor route is available, though now it has at least 100 waypoints. 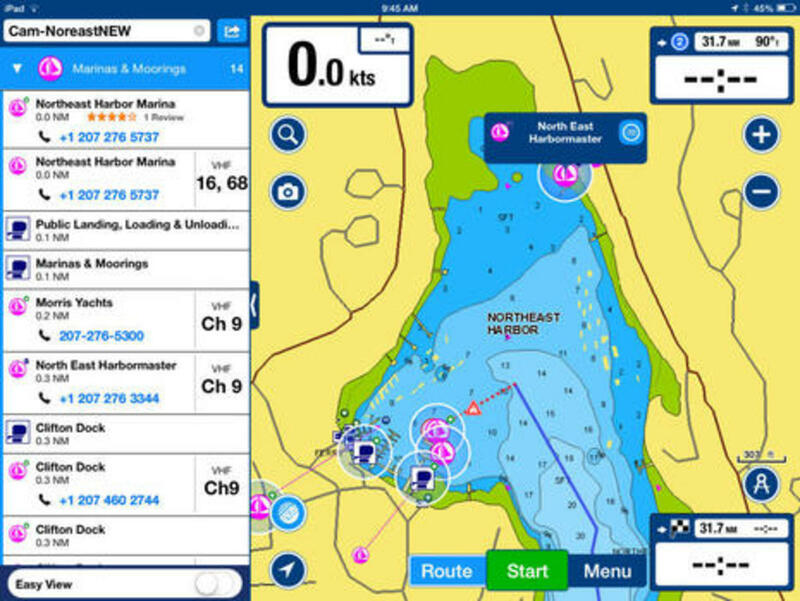 So it goes, and it was nice to see that the diminished feature set is reflected in a mere $8 Navionics+ annual subscription rate. Dock-to-dock was included in my iOS Boating US HD iPad app&apos;s $30 annual subscription - which still seems fair given this, a huge chart area, and a whole lot of other features - and in fact it&apos;s working fine even though the subscription has expired. 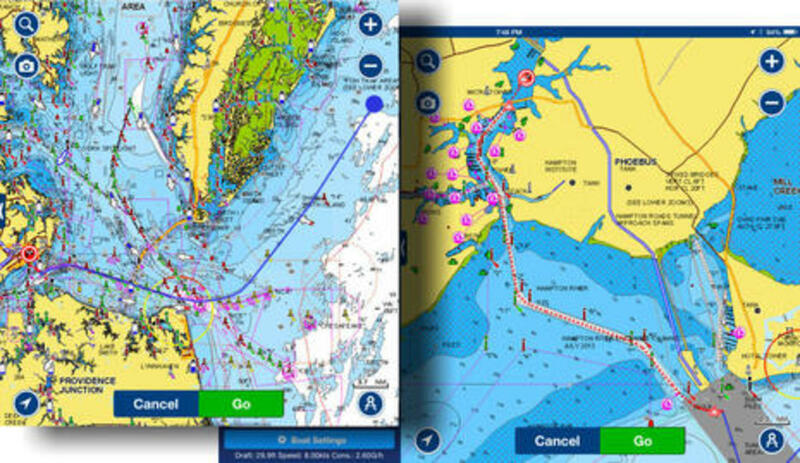 As navigation aids and shoals change, though, a Freshest Data subscription should make Dock-to-dock work better, so mission accomplished? Any discussion of autorouting should at least mention Garmin because they really trailblazed this feature (and I&apos;ve been told it&apos;s very popular with Garmin users). 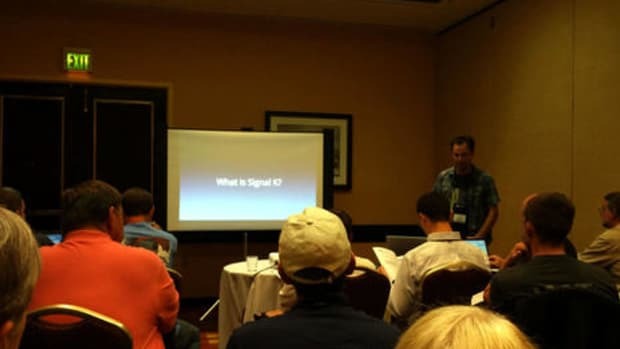 I enjoyed the original a lot; it made mistakes that couldn&apos;t be corrected, but it was great for quick, if rough, ETA&apos;s and a general sense of where to go. Auto Guidance 2.0is much improved, but I still managed to capture screenshots of it cutting inside navigation aids and refusing to route a skinny part of the ICW (even though the same MFD had a pertinent track of Gizmo making the same passage). Autorouting waterways is hard. 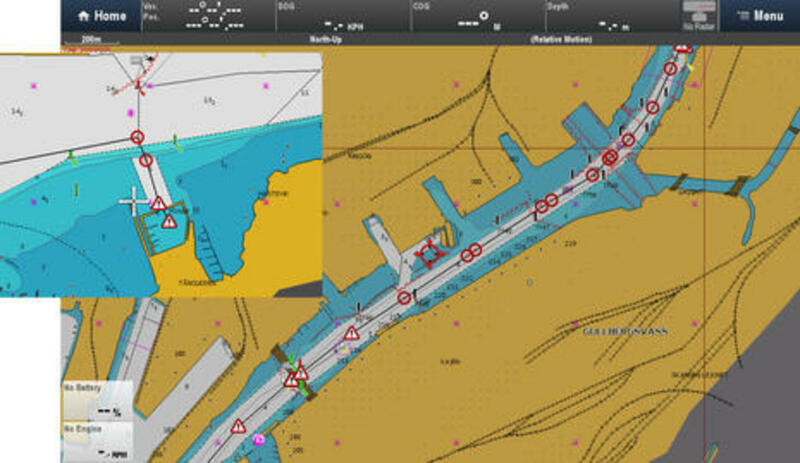 To learn more about Dock-to-dock autorouting, and also the bigger concept Navionics calls Mediamorphosis, check out this recent webinar (skip to 19:40 if you just want to see Giuseppe Carnevale&apos;s live Dock-to-dock demo). One feature I have not yet been able to try, for instance, is Dock-to-dock&apos;s ability to warn a user about speed limits and even include them in ETA calculations. 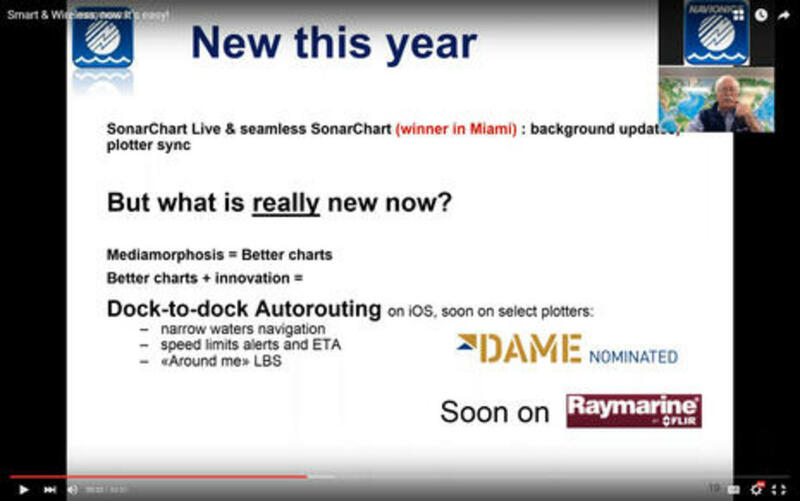 Also, note on the webinars screen capture above that Dock-to-dock is slated to come "Soon on Raymarine." In fact, "soon" may be real soon. 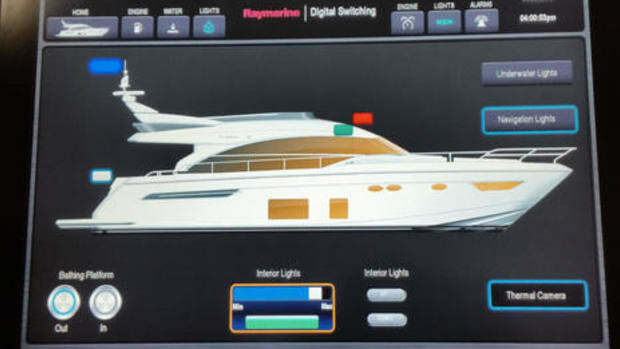 Raymarine was demonstrating a beta version of Dock-to-dock on one of their multifunction displays at METS, as illustrated on the screens above and below. 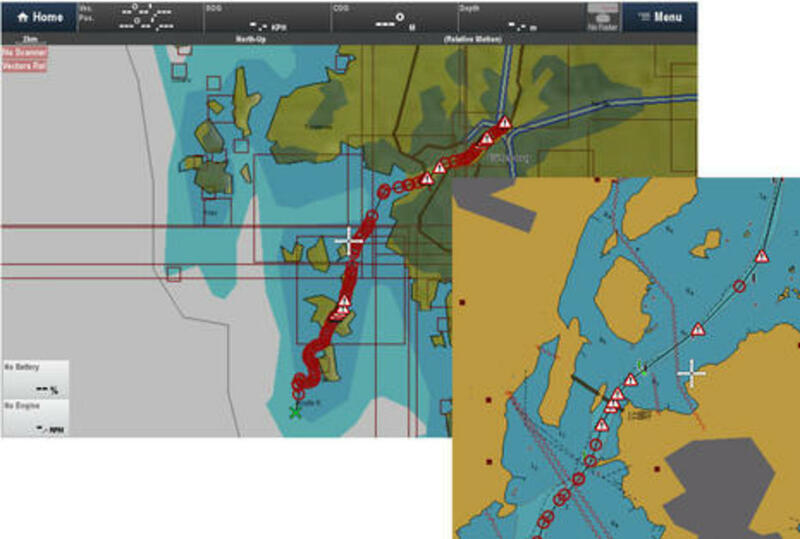 Yes, Ray even has the algorithms plotting a course right into a tight marina (lower left below), though caution is advised. I hope I&apos;ve made the point in this entry that caution should always be taken. Autoroutes are potentially a great convenience, but they must always be checked. 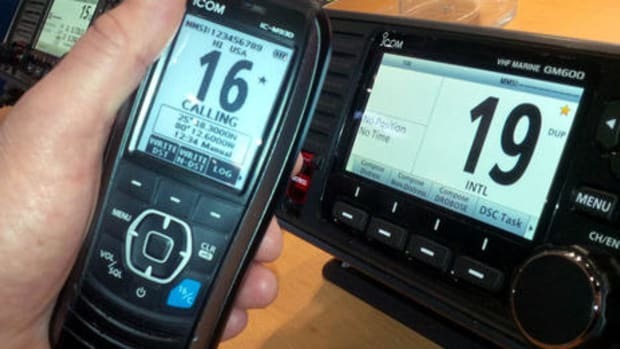 At any rate, I&apos;m quite excited about having Dock-to-dock working on a Raymarine MFD, and of course that may also be eventually possible on Navico MFD&apos;s that support Navionics chart cards. 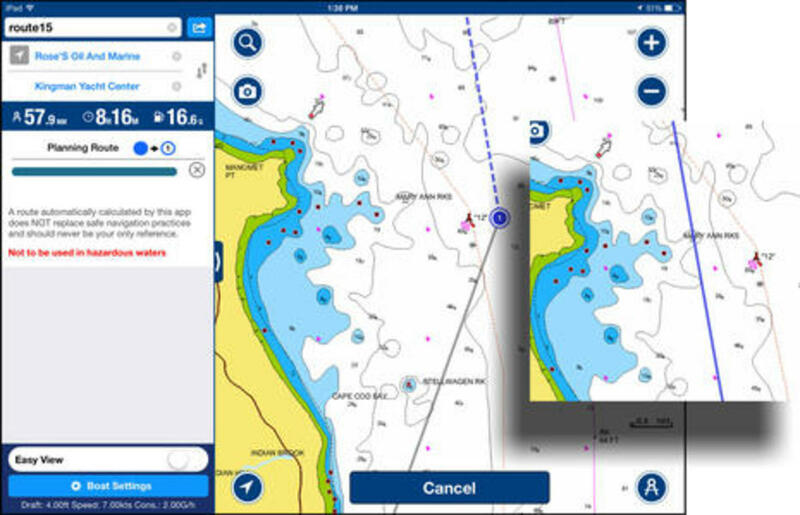 What&apos;s more, if Dock-to-dock catches on like I think it will, Garmin and C-Map will likely be motivated to improve their autorouting. It&apos;s all good.